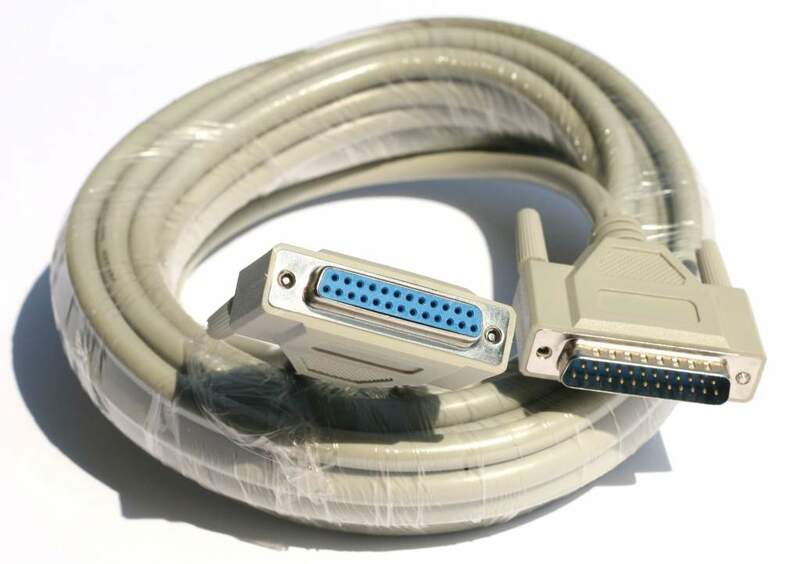 25 FT. Cable Male-DB25 to Female-DB25 Cable. Premium Cable with DB25 Connectors on ends. Cable is fully molded Even the Connectors. Connecting a external serial modem to a 25 wire connector on the back of the computer. Used to connect up serial devices to switch boxes. Wired Straight Thru Pin 1-1 2-2 .... 24-24 25-25.